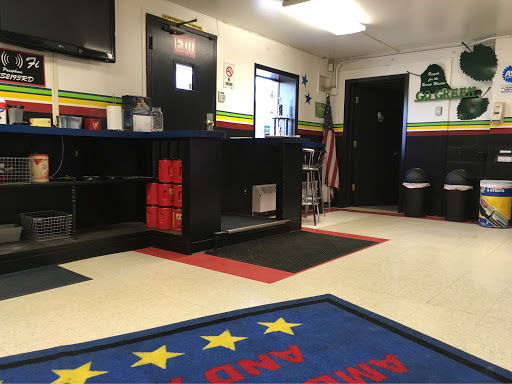 In the waiting room of a tire shop. May 1st is the deadline for using studded tires. We don't have a second set of rims for the Prius so the tires must be swapped on the rims twice a year. Maybe it's time. Let's do the math $75 twice a year and we've had the car for 4 years. That's about $600. Could've easily paid for new rims plus there wouldn't be the wear and tear on the tire beads. This may be the last time for both sets even though they aren't anywhere near worn out. I did hear back from the author of BlogPad Pro and they thanked me for reporting the problems. The paragraph break is the more annoying problem and they said that Google had changed the API and it will be fixed at the next release. 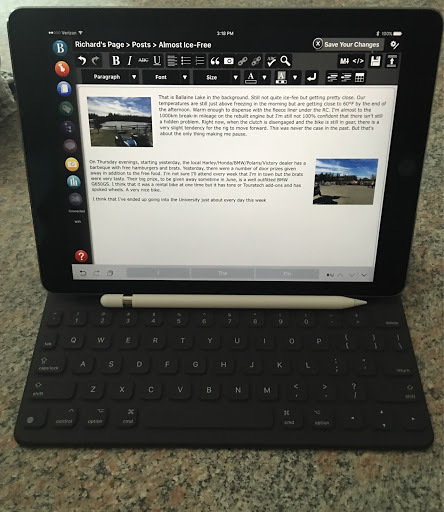 Until then, I will be starting posts on the iPad where it's easy to insert photos, then bring them up in the Blogger web interface to fix the paragraphs. Simple enough. The incorrect HTML style in the photos was new to them though. I guess that has been there but not mentioned before, I guess people just put up with it. Another day, another waiting room. Though this one has better free snacks. 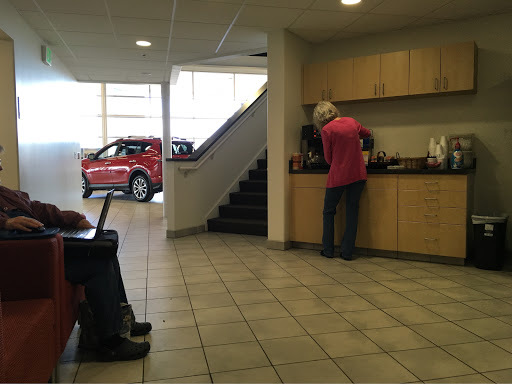 I'm at the local Toyota dealer getting the next service done on the Prius. Fortunately, there isn't much needed as part of the service. Since it's out of warranty, I should probably start doing some of this myself. Then I wouldn't be sitting around in another waiting room. I did talk with a friend who was here getting an air bag recall done on his old Corolla. He is another airhead member and is getting ready for a bike trip to the lower 48 with his son. He said that his son may be keeping the airhead so he'll be keeping the old Honda. I believe it's a predecessor of the Goldwing. I don't remember what they were called. 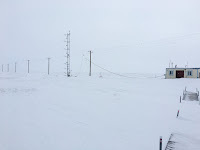 Another typical spring day in interior Alaska. There have been a lot of bikes out on the roads this weekend and the almost universal comment has been "it's only April!". Not only are the bikes out but also bicycles, RVs, boats, kayaks and canoes. The only thing missing were the leaves and those came out last night. This morning, the hills had a green tint that wasn't there yesterday. On Sunday afternoon, we went out for lunch and I had the sushi platter. I was really looking forward to this and the restaurant didn't disappoint. The glass has strings of raw beets topped with cucumber and was a strictly a garnish and had no flavor. 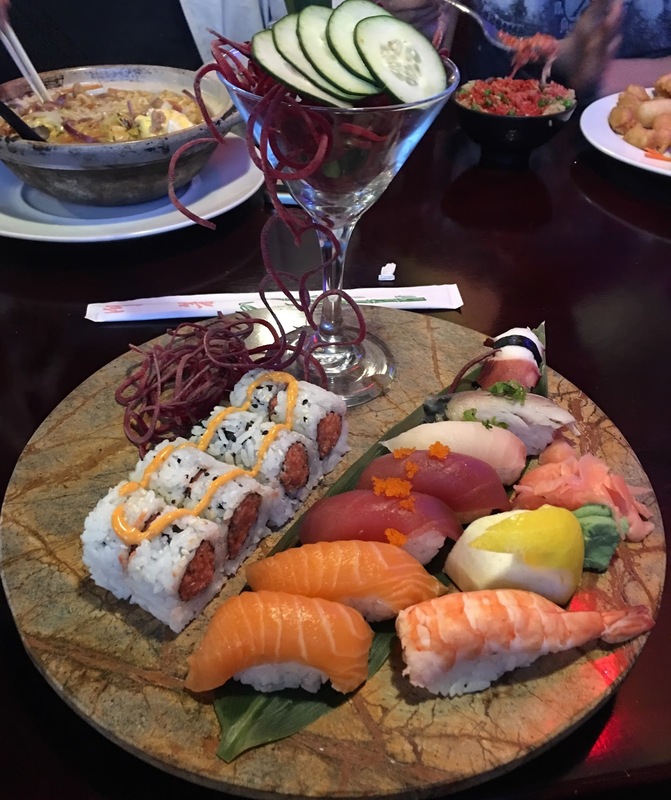 But it made for a nice presentation. This morning was warm enough to justify an iced coffee as it was starting to feel too warm. Almost 60°F. I arrived late to the coffee house and most of the regular crowd had already left. I had stayed home as the neighbor was felling trees and asked me to stick around. I took advantage of the time to arrange the garage to make room to store the snow plow. It's now in front of the BMW which was turned sideways. That gave just enough room for the Ural plus some walking space around everything. 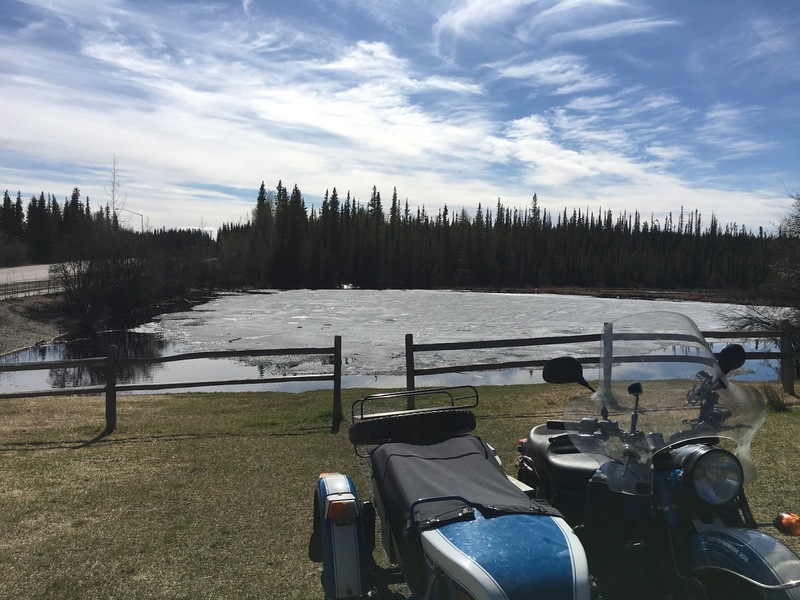 No issues or problems with the Ural yet. I've added about 100 ml of oil so far but it's still in the engine break in period. Almost to the 1000 km where I'll need to torque the heads, adjust the valves and change the oil and filter. 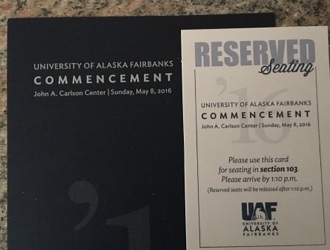 I did receive a letter from the university letting me know that I am officially old and should plan on attending the UAF commencement ceremony this year. They will be conferring the title "Senior Engineer, Emeritus" on me. There are several words in that phrase suggesting "old" but I guess I shouldn't dwell on that and just accept the honor intended. 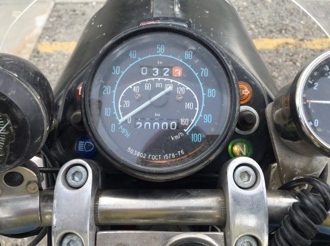 This afternoon, I had stopped in town to sign a board document and I noticed that the odometer on the Ural was showing a minor milestone. I had replaced the speedometer about a year ago and it read 24,116 km so in reality the rig has 44,116 km on it with almost half put on in the last year. Now, if I can keep that miles between overhaul high I think that I may be in good shape. My favorite iPad blogging app had been Blogsy. Sometime in the last couple of months, the authors decided not to update the product and had it removed from the App Store. Since I am now on a new iPad, a 9.7" iPad Pro (referred to as the "baby pro" in some reviews) I was reinstalling all of my old apps. Since Blogsy was on the front page, it's absence was noted. Some searching yielded BlogPad Pro as a possible replacement. It was originally developed for WordPress but at some point in time, Blogger support was added. I had tried a bunch of other blogging apps before settling on Blogsy and most of them worked but usually failed at picture formatting. BlogPad Pro fails less. I still needed to go in and "tweak" the html for pictures on the left. The default is to leave 1em on the left side and 0 on the right. This would cause the text to be right up against the edge of the photo. Pictures on the right work just fine. Another problem seems to be paragraph spacing. The wysiwyg editor show it fine but when posted, all of the spacing goes away. The wind had finally died down this afternoon so I went out and hung another antenna on the outside of the buildings at the BEO. It was occupied so I wasn't able to complete wiring for the antenna but I also didn't bring enough cable. As you can see, it's overcast and the light is very flat. What isn't evident in the picture is how bright it is outdoors. In a very short time, I had an incredible headache due to the brightness. The portable lab is referred to as the SledShed as it is built on sled runners so it could be moved. The Rolm tower on the left is a research project currently occupying the much of the interior of the portable lab. I'm not sure what the project is but I had worked on a similar tower back in the late 1970s to study micro-meteorology. The power poles are heading out to another building called the Control Shed in the middle of the BEO. The radio I'm installing now is part of a redundant link for the control shed. I needed a longer cable to connect the new radio and will probably head out there again on Sunday. Hopefully it'll warm up a bit. 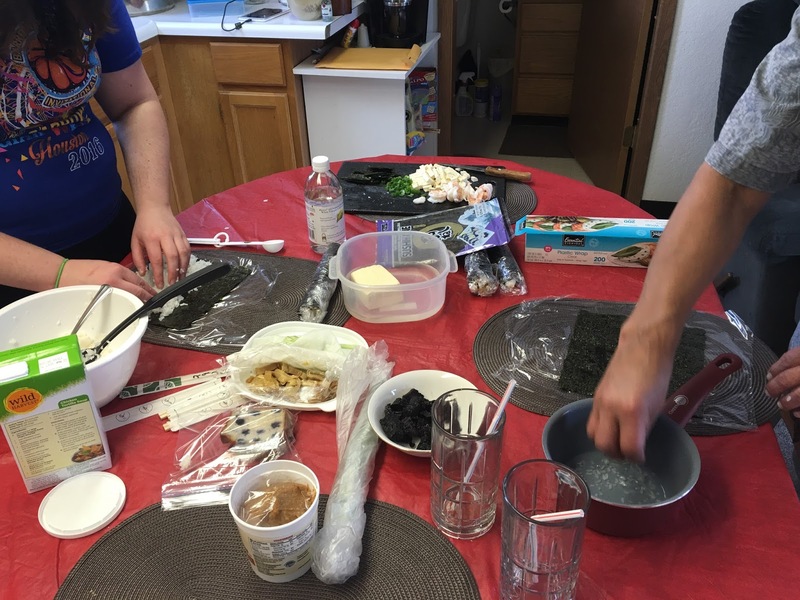 The cooking expanded to also making up some sushi rolls with the leftover nori not used to season the miso soup. Not having many ingredients available in the local grocery store, I settled for eggs and cucumber. Someone mentioned that they had some avocado. Hopefully, someone has some vinegar and sugar to season the rice. We were originally going to meet on Saturday evening but one of the participants wasn't feeling well so we postponed a day. Sunday Evening Update - Here is a shot of the construction of the sushi rolls. I only needed to make the first one and the others jumped in and made the rest. They came out okay but I didn't put in enough vinegar/sugar into the rice. But otherwise, not bad. And the new radio is installed. One of the researchers, who will be working out at the BEO Control Shed tomorrow, offered to install the other end of the link. Every Wednesday at noon (AKDT), there is a Twitter discussion with moto-topics with the hashtag of #MotoChat. The topic of the day was electronic controls on a motorcycle. Such thing as ABS, traction control, fuel injection, electronically adjustable suspension, etc. 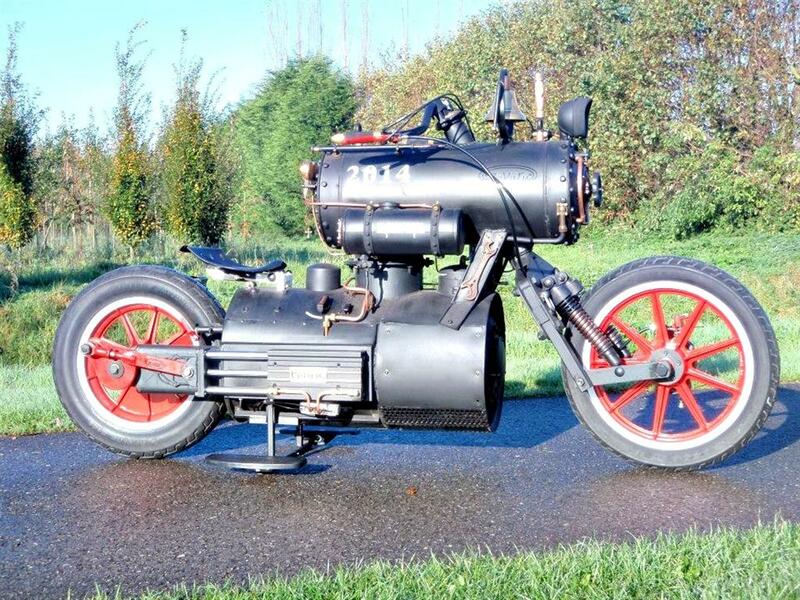 And, as you might guess, I don't have any such things on either of my bikes though they do have electronic ignition. One of the questions was the suitability of such electronic additions. My opinion is that while such things are fine and could make the bike safer, it would be a good idea to not learn to rely on them. Such as, know how to modulate the front and rear brakes in a panic stop. 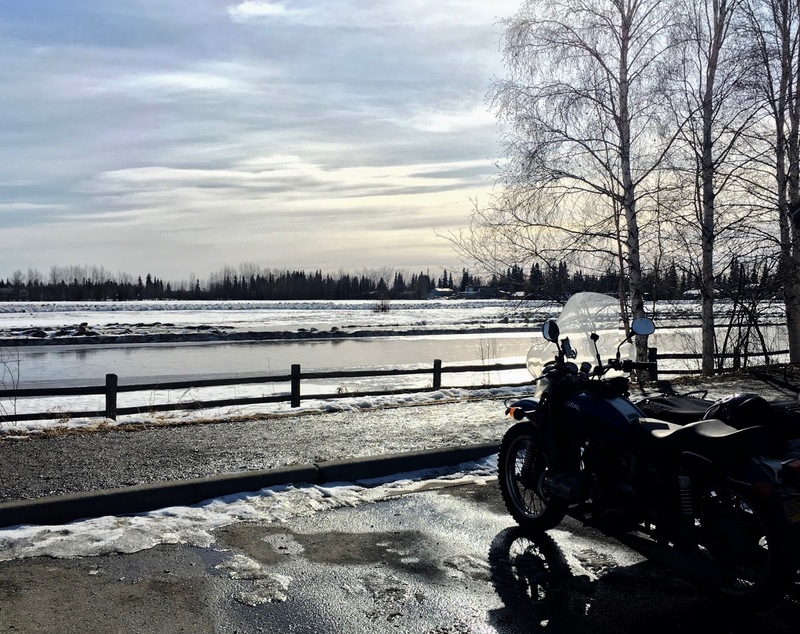 I keep hearing tales of riders who have never ridden anything without traction control, linked brakes and ABS being in over their head when having to ride something that doesn't have those features. So my conclusion was that such electronic assists are not good for an beginner and not good for the experienced rider wanting to push all the way to the edge. I also commented that I thought that there was a lot of value in being able to fix things along the side of the road in the middle of nowhere. Pulling out your cell phone and calling a tow truck isn't always an option. I think that is the attraction to bikes such as the KLR and BMW airheads. Easy to fix and plenty of spare parts. This humorous comment from the moderator was after I mentioned that a gas gauge was a nice feature as long as you didn't rely on it exclusively. I.e. know what your range is and when you will need to fill up based on your riding style and experience with the bike. This followed along with all of my other anti-technology comments (opinions). My reply was that the sidecar on the Ural was for sufficient coal and water capacity for the boiler. This afternoon, I headed up to Barrow. The way Alaska Airlines now run their flights, I have to go south to Anchorage and then catch a flight north to Barrow. 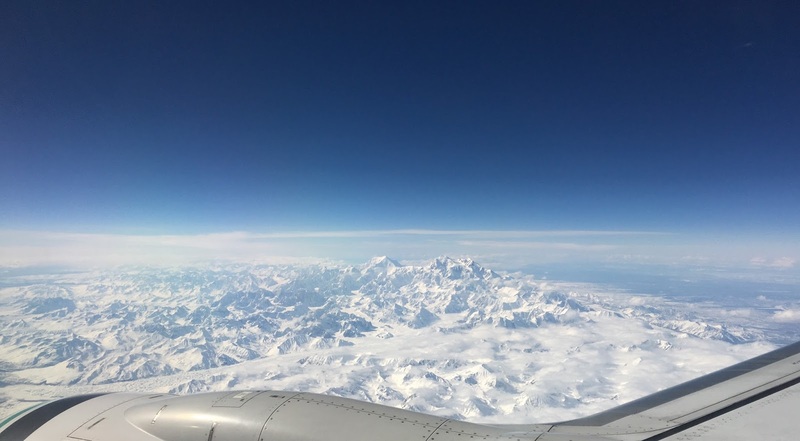 It was nice and clear around Denali and I just happened to be on the right side of the plane in a window seat. After a couple of hours in Anchorage, I was on the flight to Barrow. There was a 35 kt wind but, fortunately, it was lined up with the runway so no problem landing. The drive out to the NARL campus was a little challenging due to blowing snow. The berms on the side of the coast road were above the cab of the truck. Hopefully, the wind will be dying down later in the week as there are some outdoor tasks that need to be done. This snapshot was taken this morning through the windshield of the truck. The wind has died down some but it's still around 18 knots. 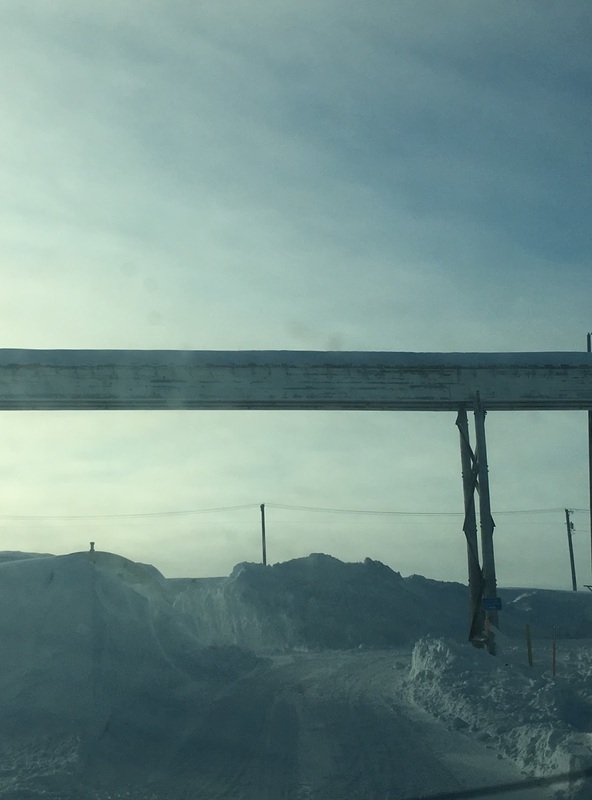 This canyon of snow was in the process of being moved now that the wind is dying down. Residents were glad to see the blizzard end. Today, sunset will be at 10:34pm (sunset was at 6:15). I'll be up here into the beginning of next week so no moto content for a while. 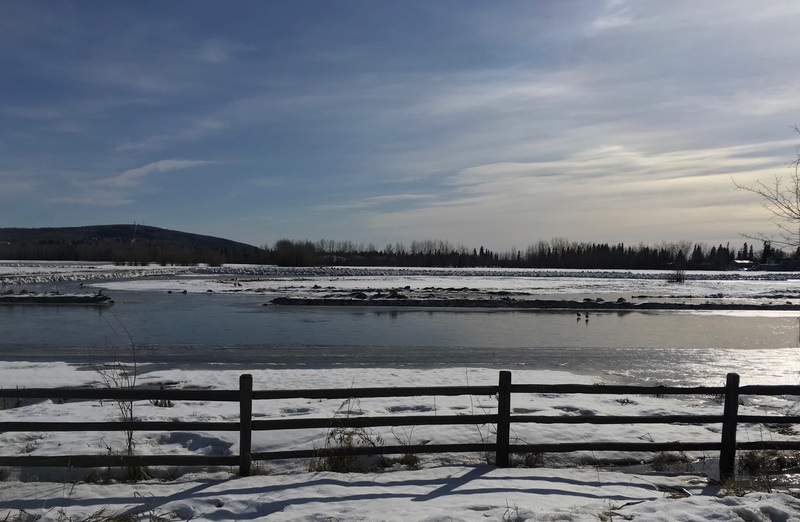 In Fairbanks, the one sure sign that spring has arrived is the arrival of birds at Creamer's Field Migratory Waterfowl Refuge. It's kind of hard to see them in these iPhone pictures but there are quite a few swans out there in addition to the ducks and geese. These pictures were taken around 7:45 on Friday evening. It's now after 9 pm and it still not quite sunset. Quite the change over the last month or so and we are picking up daylight at around 6 minutes per day. There are quite a few geese out towards the barn. We did move closer but a regular camera would've been a better option than the iPhone so I didn't try to take any more bird pictures. This was the view from the garage this morning. 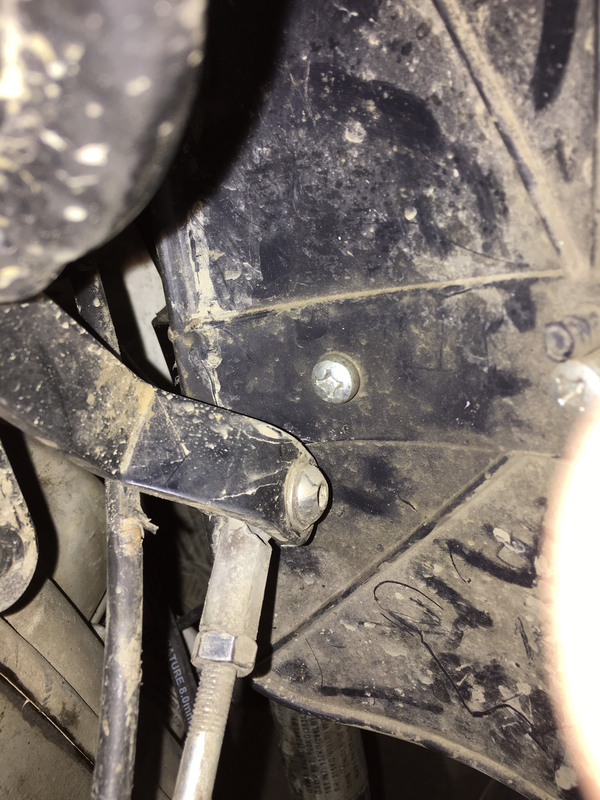 I'm glad that I hadn't removed the studs from the Ural tires yet. Not that studs were really needed but they do give you a shade better grip when the temperature is right around freezing. 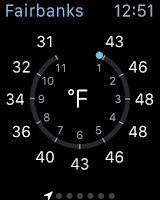 By noon, it had warmed up to 33°F so it should be nice and clear later this afternoon. Yesterday, there were two bikes at College Coffeehouse plus I saw Lee H. riding his airhead on Farmers Loop. Today, not very many (i.e. none). 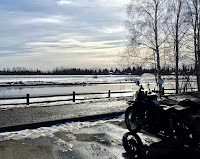 One of the bikes at morning coffee was a very nice R1200GSA on it's first ride of the year. I'm in my office today for a meeting and to find things that need to go back up to Barrow for the upcoming field season. One of the items going up is my Lenovo Helix tablet/PC. It is currently on Windows 8.1 but I'm going ahead and upgrading it to Windows 10 while it's still "free". I heard that it is a 10 GB download. Much better here at the university than at home. And, for a change, no issues with the Ural all week. No oil leaks, no oil consumption, no weird noises. Just a nice sounding engine. Friday Afternoon Update - I'm not sure why there was so much anti-Windows 10 on the Internet about Windows 10. Just don't let it pick all of the defaults. There were a lot of preferences automatically checked that you probably shouldn't choose. Such as automatically send your wi-fi network passwords to Microsoft so they can be shared with all of your friends. I think I unchecked all of the Microsoft recommended sharing options. It seems to work just fine on this tablet including the touch screen. 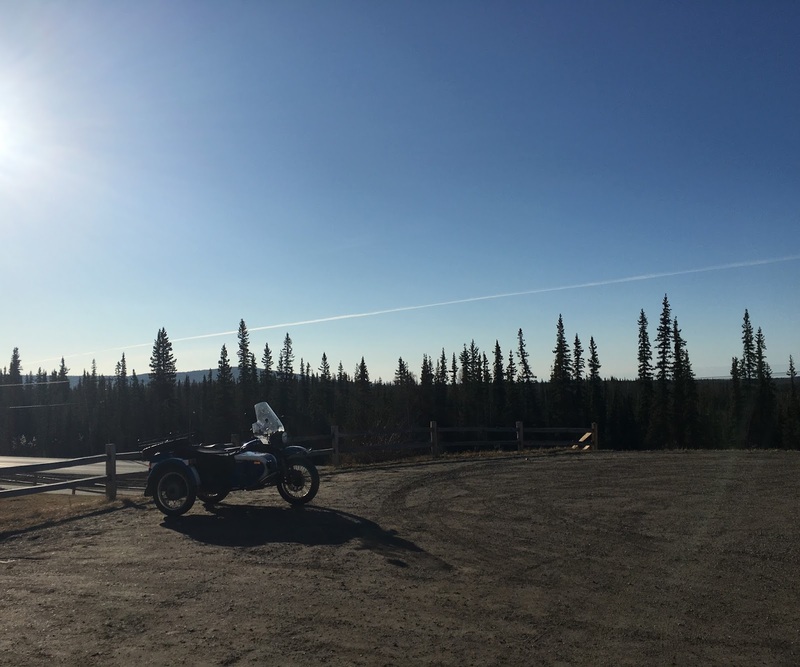 Another beautiful day in interior Alaska. I stopped at Creamer's Field Migratory Waterfowl Refuge to see how many birds were there. A few weeks ago, they had cleared away much of the snow exposing the grass. There were a few birds though not as many as there are a little later in the Spring. Both of these pictures are HDR using the built in iPhone camera app. I had a lot of errands to run this morning so this was a nice place to stop and enjoy the quiet. It's predicted to be over 50°F by mid-week so I may as while enjoy the cool weather while I can. I have been curious about the accuracy of the CHT (cylinder head temperature) gauge. The one I have is not temperature compensated so it only reads "right" at +70°F. Today the outside air temperature was about 40°F so the CHT will be reading about 30°F high. Right after pulling into the garage, the left cylinder read 355°F (or 325°F after adjusting for ambient temperature) and the right was 375°F (or 345°F). I picked up a relatively cheap IR thermometer on Amazon and it read; left 277°F, right 298°F. So both sides of the CHT are reading about 50°F too high. Like any IR thermometer, the surface temperature is estimated by measuring the thermal radiation received by the sensor. At a distance of a foot, the spot size is a little over an inch in diameter. The temperature reading is affected by the emissivity of the surface which is a quantitative measure of the efficiency in radiating thermal radiation. The device assumed an emissivity of 0.95. A dark, non-reflective surface would have an emissivity near 1.0 and a reflective mirror would be 0. To get an accurate reading, the emissivity needs to be near 1. I'm guessing that the cylinder head isn't a perfect 1.0 but it's not far off. Not having access to a portable IR spectrometer, I could simply paint a section of the head with flat black paint and that would raise the emissivity to get a more accurate reading. But I'm thinking that this is close enough. And I can probably just assume that the temperature compensated temperature from the CHT thermocouples is a bit high. 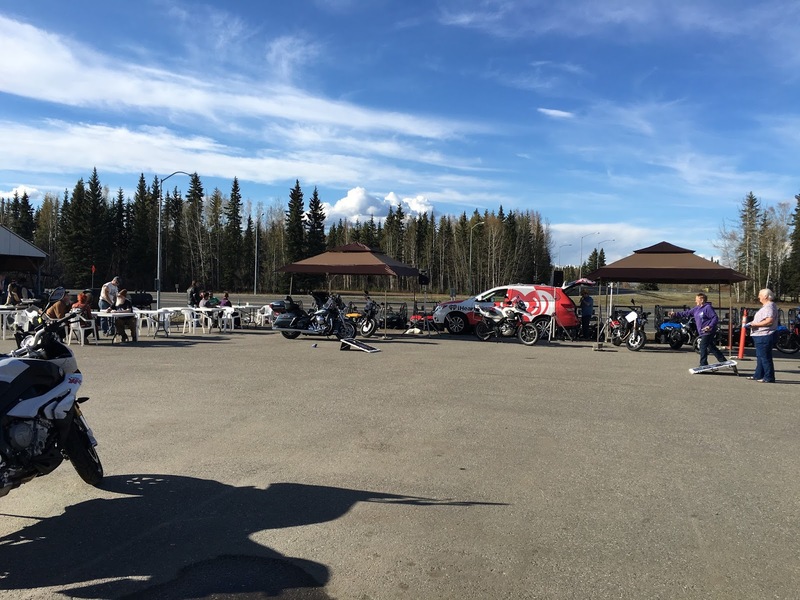 Monday evening was the monthly Airhead.org get together at the Silver Gulch microbrewery in Fox, AK. Today was the first time that there was another bike there since October. There was a pretty good turnout and there was even a donated t-shirt for a give away. The roads were is great shape and I took the Ural over the hilly road with a lot of running in 2nd and 3rd to avoid lugging the engine. Even with the hills, CHT were around 280°F by the time I got home. 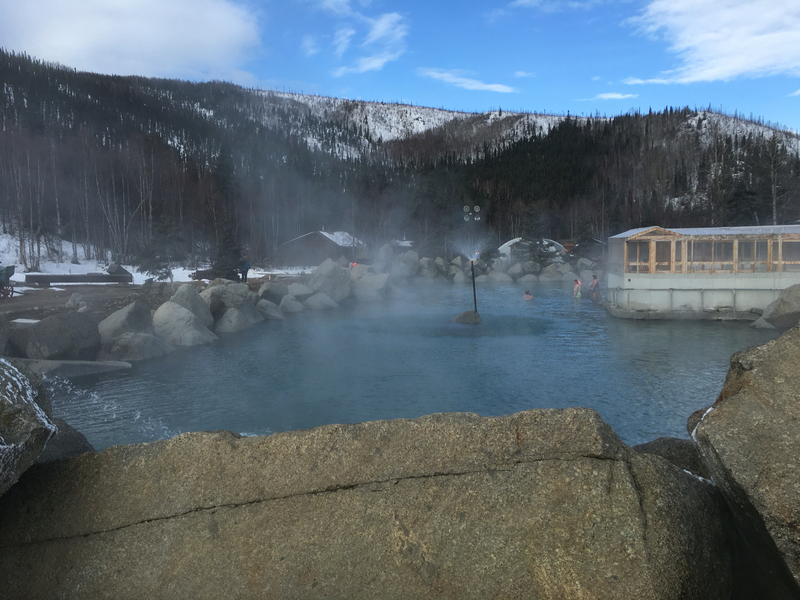 On Friday afternoon, we went out to Chena Hot Springs Resort. This is easily my favorite place to visit in/around Fairbanks. It is located 54 miles east of the Steese Highway. The first time I went here was in 1976 when the road was still gravel. It's was then and still is a wonderful drive. We saw a couple of moose in the brush along the side of the road about 15 miles back and something that looked like either a small wolf or maybe a coyote cross in front of us. On Saturday morning after breakfast, we walked around the grounds. Here is the duck pond. 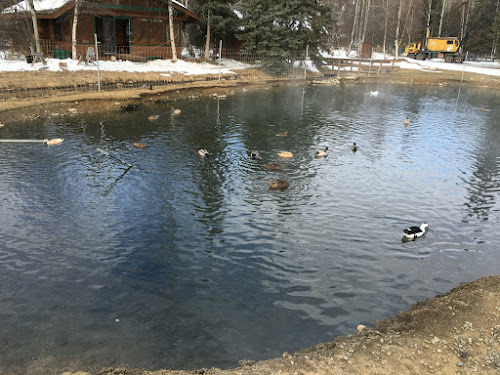 We were told that the ducks and geese at the pond don't bother to head south for the winter. The water is warm and there must be enough to feed on. 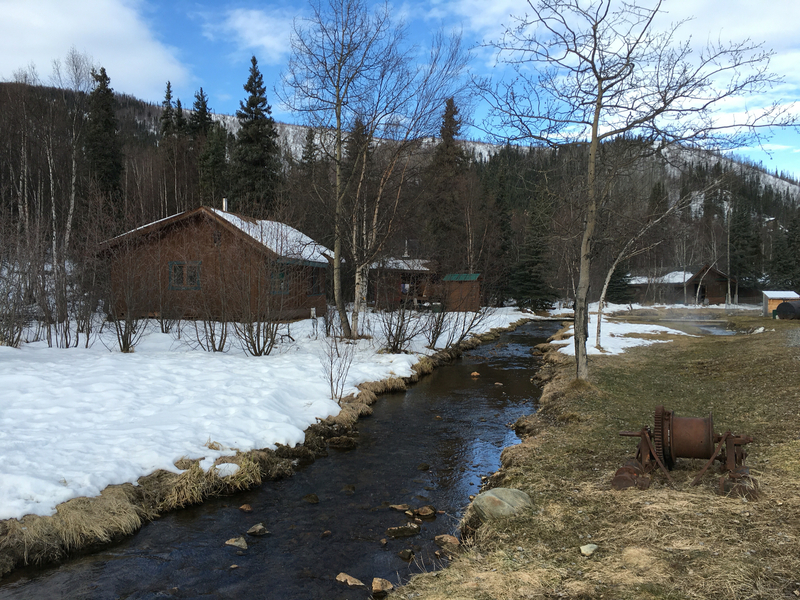 In addition to the hotel rooms, there are rustic cabins that you can rent as well. By rustic, electicity, a wood stove for heat, and an outhouse. Plus, they have enough bunk space for around a dozen people. Pretty nice if you have a large group. This is looking to the east from the same spot. 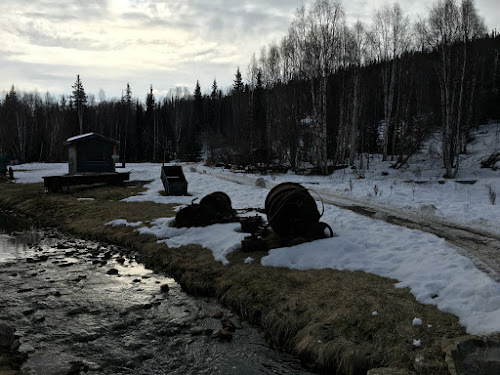 There is a lot of old mining equipment lying around just to give the place an "Alaska" feel. The creek is warm water since it is the overflow from the hot springs. 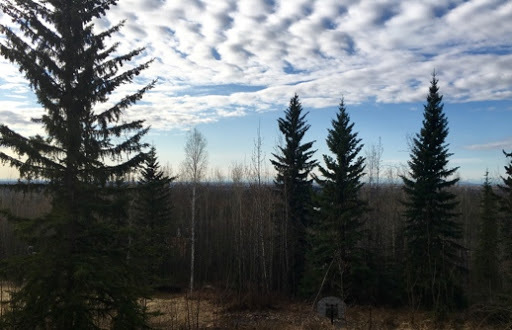 The trail leads to an aurora viewing cabin up on the hill with large floor to ceiling windows facing north. And a nice wood stove to keep you warm. Looking towards the pool area, there is this fire breathing steel dragon powered by propane. 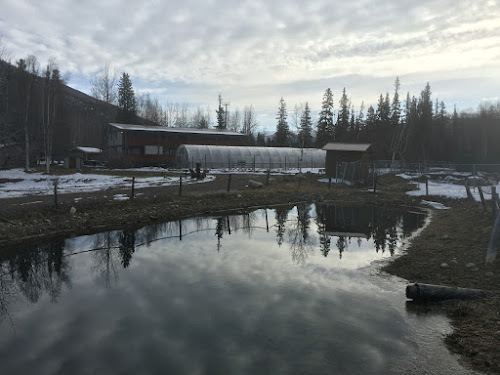 The greenhouse in this picture as well as the next are heated and powered by geothermal from the hot springs. At the back of the property is the first ever low temperature geothermal power plant with sterling engines powering the generators. All of the electricity for the resort comes from this power plant. 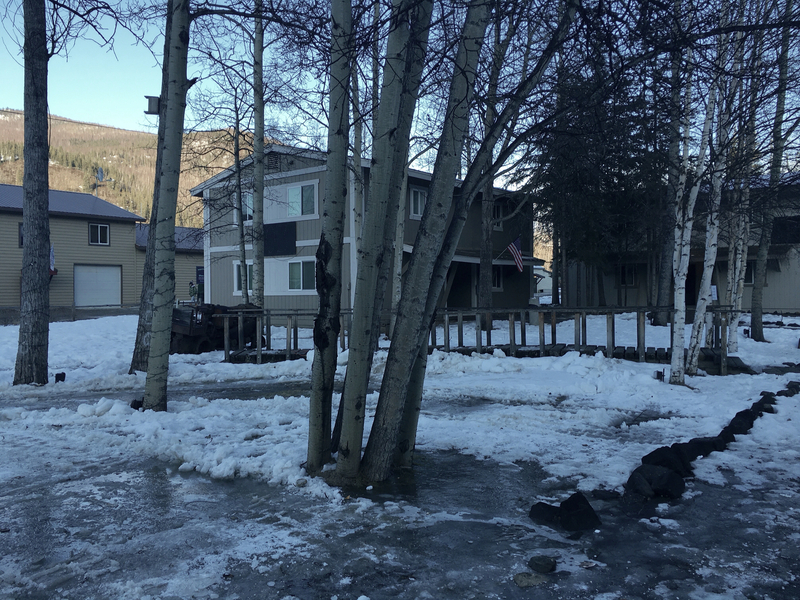 There is enough power to keep a large insulated building containing their ice hotel frozen through the summer. Obviously, it isn't an actual hotel but it is built of solid ice and has a bar inside serving appletinis in carved ice glasses. All of the produce served at the restaurant, including lettuce and tomatoes, are grown in their greenhouses year around. There are a series of cooling pools and this is the last one before the water is pumped into the swimming pools. The indoor pool with two hot tubs are the lowest temperature and the outdoor soaking tub is a little bit warmer. The latest remodel got rid of the deck surrounding the outdoor soaking tub in exchange for improved changing rooms. Probably a good trade off. By far, the nicest is the outdoor lake surrounded by large boulders. The minimum age is 18 due to the rock hazards and risk of slipping. The temperature of the lake varies depending on where you are as well as the air temperature. 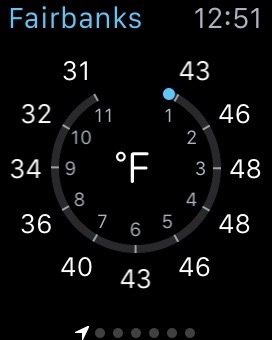 So you can move around looking for the ideal temperature. We've been out here when it was approaching -40° and this pool is wonderful. Especially if you can look up and see the aurora while soaking. If your hair freezes just submerge briefly. This is what "breakup" looks like around here. This morning it was slightly below freezing and it's supposed to get up to +48°F this afternoon. Ballaine Lake has some standing water on the surface and there isn't much snow left on the ground. Maybe a couple of inches. But at least it's sunny. The NWS reported that for the first time ever, somewhere in Alaska was over 70°F. 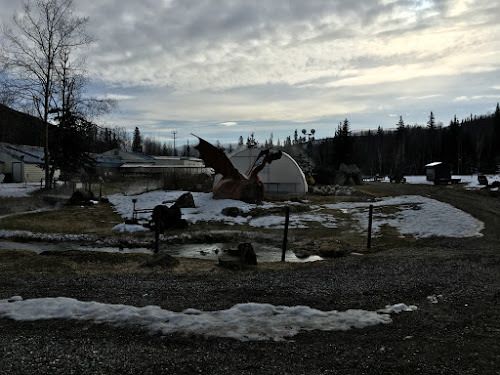 I believe that this was in Southeast AK. 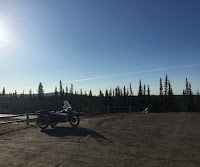 The Ural is (still) running nice and smooth though it did die when I pulled up to an intersection. So I cranked up the idle speed when I got back home followed by re-balancing the carbs. My suspicion that the left cylinder was working harder may have been right as today, the left head temperature never went more than ~25°F above the right. This also suggests that the CHT gauge and sensors are working properly. 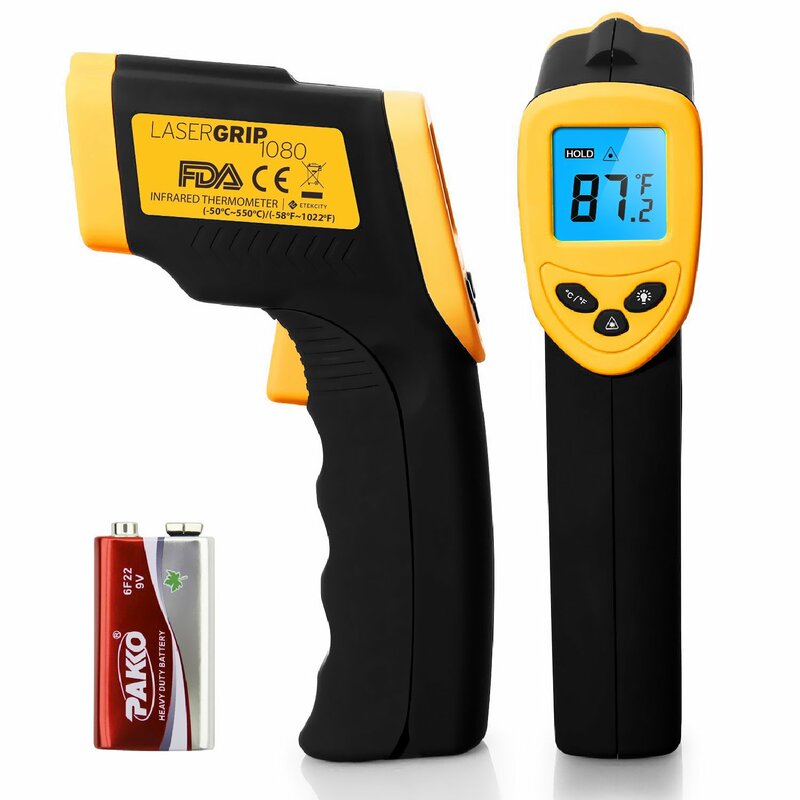 Just to get a second opinion, I ordered a relatively cheap infra red thermometer off of Amazon. According to Weather Underground, we are up to 13:34 hours of sun above the horizon now and gaining at almost 6 minutes per day. I think that this is one of the warmest winters we've had in a long time. Not a single day of -30°F or colder at least none that I remember. The record low for today was -47°F if that gives you an idea of how weird this is. Today was just too nice of a day to not ride around. I just need to avoid highway speeds and long grades for a while. I believe the break in time is 1500 km. 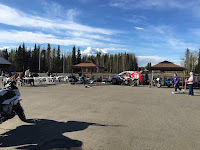 BTW, don't miss the phenomenal Alaska moto-video on AlaskaPeek's latest blog post.